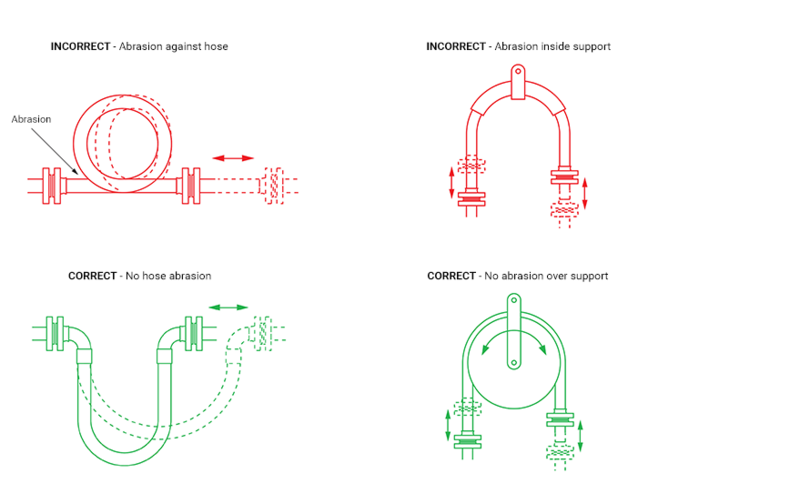 The Third Rule is that the hose configuration should always be designed, and supported where necessary, to avoid any possibility of external abrasion. In some cases, the length, configuration and angle of the hose can be designed to avoid abrasion. In others, static or moving support frames or support wheels are required. 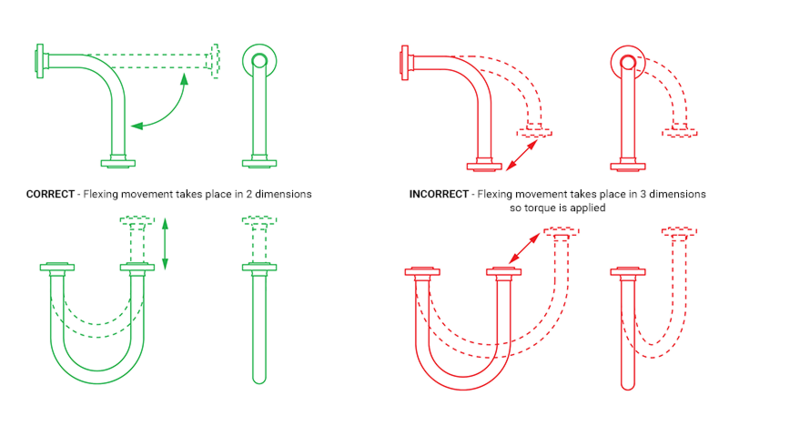 The Fourth Rule is that the hose must not be subjected to torque, either during connection, or as a result of the flexing cycle. Torque (twist) in the hose can be applied during connection if the hose is accidentally twisted, or if the second end being connected is a screwed connection, and the hose is subjected to torque during final tightening.